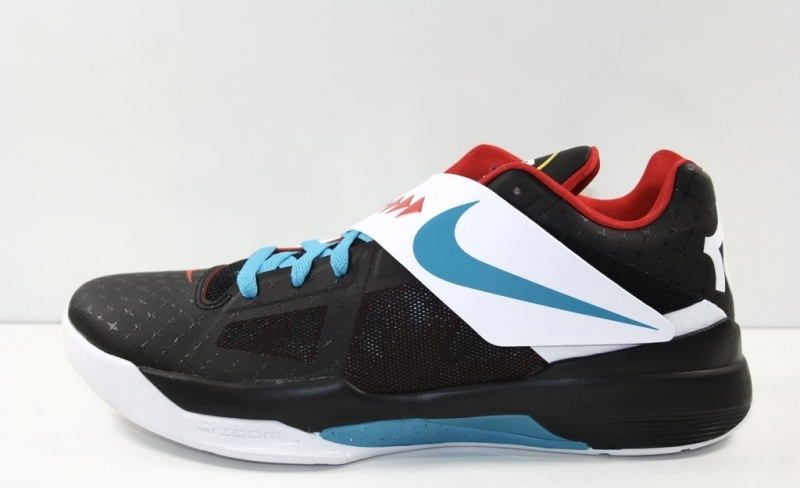 The Nike KD 4 N7 Black came out in 2012 part of the N7 collection. The N7 collection is part of the aid for sports in the Native American and Aboriginal communities. The sneaker is decked out in a black upper with N7 graphics throughout. Finished off with a dope mix of turquoise and red, the sneaker is a great addition to the N7 line.